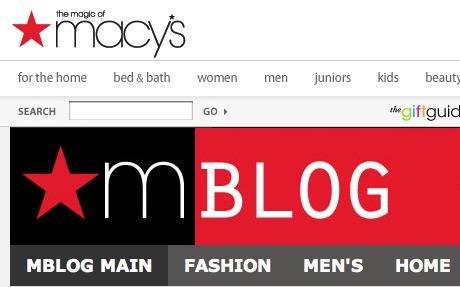 With the tagline “Macy’s news, reviews, magic & more,” department store Macy’s has launched a new blog attached to its site Macys.com. The newly minted blog will have a predictable editorial schedule, covering topics centered on the store’s departments on rotating days of the week. Mondays will be devoted to women’s fashion on mBlog, while men’s fashion and gadgets are the topic of discussion on Tuesdays. Wednesdays are devoted to home, while accessories take the top spot Thursdays and beauty is Friday’s regular topic. Saturdays and Sundays will feature a “potpourri of content,” and product links will be peppered throughout so readers can purchase items promoted on mBlog.